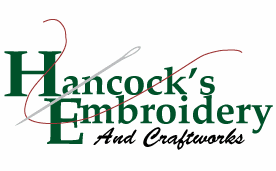 The price for embroidery is 3.00 per handkerchief, per line. These men's handkerchiefs have the traditional look that men seek in their hankies! Send your man out with the special touch of elegance and practicality these favorites provide. 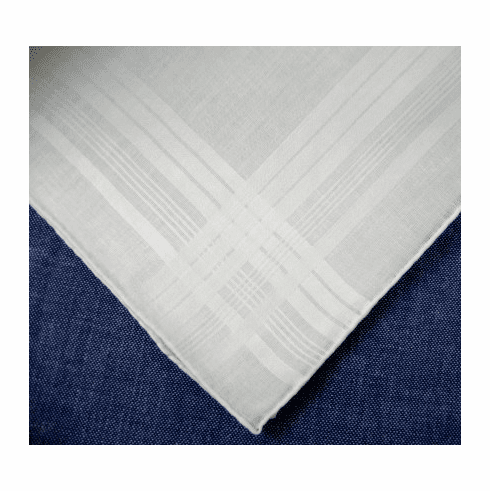 White 100% Cotton handkerchief has a hand-rolled hem and a traditional satin banded edge design. Measures approx 16.5" square. This item is now also offered individually as well as by the dozen. Visit our Handkerchief page to order this item individually.